Zinc Pyrithione is probably the most widely used active ingredient to treat dandruff caused by Seborrheic Dermatitis on the market today. There are hundreds of brands out there that contain the ingredient. Everything from Head and Shoulders to generic dollar store dandruff shampoos. But is it the best? Before we look at the 10 best zinc pyrithione shampoos we’ve reviewed, we’ll look at what zinc pyrithione is, assess how effective it is and outline the risks. Letting you decide if it’s the ingredient for you. How does Zinc Pyrithione work? How effective is Zinc Pyrithione? The 10 Best Zinc Pyrithione Shampoos. Zinc Pyrithione is an antimicrobial added to shampoos to treat dandruff and seborrhoeic dermatitis. The molecule is a pyrithione complex of zinc, and so is also commonly (but confusingly) referred to as ‘pyrithione zinc’. 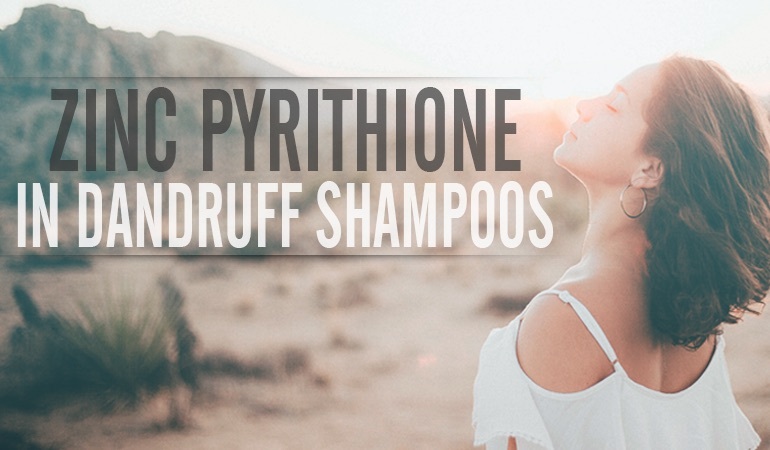 Shampoos containing zinc pyrithione can be typically be bought without a prescription. In Europe, zinc pyrithione is regulated as a preservative and not a medication. This means that the ingredient is subject to different regulations to other active ingredients found in shampoos (e.g. ketoconazole) – and importantly, the manufacturer decides the dosing schedule. The shampoos are typically left for 5-10 minutes before rinsing, and applied every 2 to 3 days . This can vary by brand, and depends on any other ingredients in the shampoo. Zinc Pyrithione is relatively unique in that it has been shown to be effective against many species of fungus and bacteria. The ingredient was first identified in the 1930s, but the exact mechanism for its antimicrobial activity was a mystery until 2011 . Researchers working for Procter & Gamble were able to show that zinc pyrithione targets critical iron-sulphur proteins, which causes copper toxicity leading to cell death. A better understanding of this mechanism will be useful in finding new treatments for dermatological conditions. Zinc pyrithione has a role in certain scalp conditions because it’s effective against Malassezia yeasts – important in the treatment of seborrheic dermatitis . 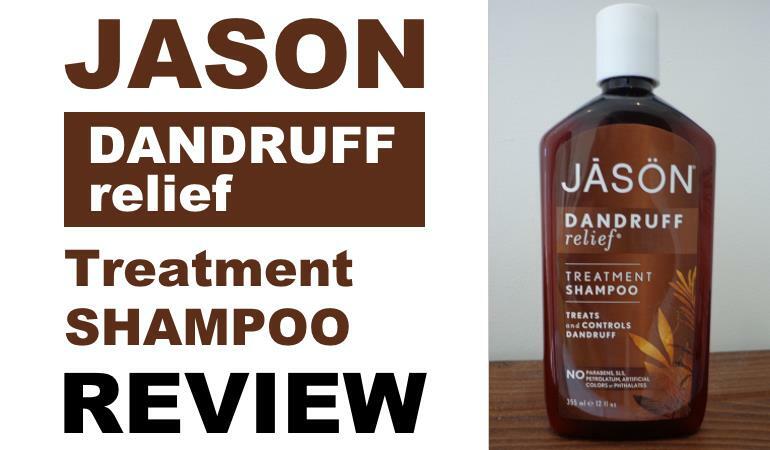 There is relatively little robust evidence for the use of the shampoos, but they have been available for a long time and are generally well tolerated, and so retained as a second-line therapy. Despite not being a prescription medication in the UK, the National Institute for Health and Care Excellence (NICE) recommend zinc pyrithione as a second-line treatment in seborrheic dermatitis if ketoconazole or selenium sulfide are not effective or tolerated . This recommendation is backed by the British Association of Dermatologists, and based on several key clinical trials . In 2002 an open-label, randomized, 10 week clinical trial of 343 participants evaluated the effects of 1% zinc pyrithione shampoo against 2% ketoconazole and placebo for seborrheic dermatitis . The study found that both shampoos were effective, with ketoconazole significantly superior – 73% to 67% improvement. This was followed by a study of 83 people published in 2010 which showed that zinc pyrithione resulted in less dandruff reduction after four weeks than topical betamethasone or tacrolimus . In addition to these, tests, it has been found that severe zinc deficiency states are associated with numerous forms of dermatitis  although zinc is still not used as a first-line treatment for any of these conditions. The lack of high-quality studies looking into the use of zinc pyrithione shampoos for seborrheic dermatitis prevents it from being used as a routine first-line treatment. In studies that have been performed, zinc pyrithione has generally resulted in a statistically significant improvement in symptoms, but to a lesser extent than conventional first-line therapies (e.g. ketoconazole). Zinc Pyrithione does not have a formal role in treating scalp psoriasis, but in 2011 a study found that applying a 0.25% cream twice daily effectively reduced ‘Psoriasis Area Severity Index’ (PASI) scores – used to monitor the severity of symptoms . Corticosteroids are a more conventional therapy for plaque psoriasis, but zinc pyrithione might have a role in retaining disease control during steroid-free periods. What Are The Risks With Using It? The comprehensive safety report reviewed all of the available animal and human data and decided that post-marketing surveillance was required after permitting the increase in concentration. This requires cosmetics companies to keep track of all adverse reactions thought to be caused by zinc pyrithione. Out of the many hundreds of zinc pyrithione shampoos available, there are some utter dross, some absolute gems and everything in between. Below is a list of the 10 gentlest, most effective, gently formulated zinc pyrithione shampoos we’ve yet reviewed. If you’re currently considering using dandruff shampoo to treat your body-wide seb derm, eczema, itchy skin, psoriasis, dermatitis and more – stop right now and grab yourself a Vanicream Z-bar. Free from common irritants, allergens and sensitizers, the 2% zinc pyrithione formula not only cleanses sensitivity but may also help provide relief from your symptoms. A clean, effective formula able to pacify and protect against seb derm and dandruff-like skin conditions. Pura's D'or Argan Oil shampoo features an interesting formula that combines traditional therapy and herbalism. It wears a premium price tag, but it is truly a premium product. The active ingredient in Pura's product is the familiar zinc pyrithione. It also includes aloe vera and grapefruit seed extract, which have antifungal and antioxidant properties, and a number of fragrant essential oils. Normally, shampoos containing argan oil send up a red flag for people with seborrheic dermatitis. The oleic acid content can exacerbate the condition. However, the amount present determines the sensitivity level, and a little should have no impact. 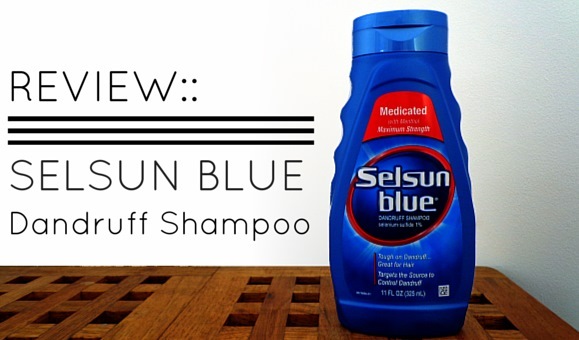 After using the shampoo, we found that it delivered a great performance without producing adverse reactions. 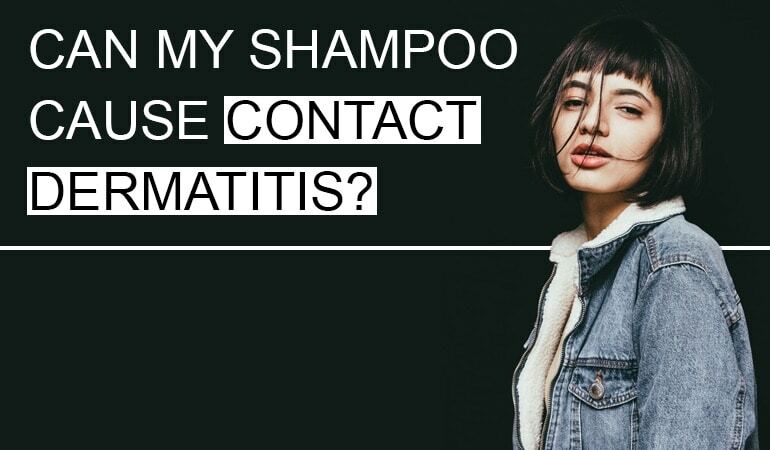 If you're sensitive to fragrance, cocamidopropyl betaine or phenooxyethanol, you may want to steer clear of this shampoo, but for many dandruff sufferers, it can achieve complete control of symptoms while providing a pleasant and surprisingly sudsy washing experience along with reliable treatment results. DHS Zinc Dandruff Shampoo is yet another top class shampoo from DHS. Yes there are two ingredients to watch out for; TEA Lauryl Sulfate and Perfume. But other than the sulfate and the fragrance there are remarkably only another 5 ingredients in this shampoo (discounting the zinc pyrithione). And one of them is coloring! I wish every manufacturer would subscribe to the more is less philosophy of shampoo formulation. If you're looking for a shampoo to treat a mild case of seb derm, you can't go wrong with this one. Kiehl's Scalp Purifying Dandruff Shampoo is a combination shampoo, combining zinc pyrithione and salicylic acid in one excellent but gentle shampoo. It's the first zinc pyrithione shampoo that has controlled my moderate to occasionally severe dandruff in years - the addition of salicylic acid definitely helps. Be warned though, long term usage could dry your scalp. There are one or two unpleasant ingredients in there but if you don't react to perfume or sulfates then this is definitely worth checking out. Bioderma Nodé DS+ shampoo certainly packs an anti-dandruff punch. Its combination of anti-dandruff actives (Piroctone Olamine and Zinc Pyrithione), with keratolytic Salicylic Acid and anti-inflammatory Sodium Shale Oil Sulfonate are also complimented by several scalp soothing ingredients. A heck of an ingredients list only let down by the use of SLES and one or two other potential irritants. This shampoo is definitely worth checking out. While most shampoos contain one or two active ingredients, this bad boy goes the whole hog and contains five; zinc pyrithione, benzalkonium chloride, fumaric acid, piroctone olamine and salicyclic acid. The shampoo washes with a dense and luxurious foam and leaves the hair feeling soft and clean. There’s no need to use a conditioner as the company have added conditioning agents such as panthenol, allentoin and hydroxypropyl guar hydroxypropyltrimonium chloride. It may sound like the perfect shampoo but unfortunanately they’ve added some harsh ingredients too including Fragrance, DMDM hydantoin, limonene, sodium laureth sulfate, sodium hydroxide and cocamidopropyl betaine. If you don’t have a particularly sensitive scalp and suffer from moderate to severe dandruff this is definitely worth a look. Just make sure you don’t have sensitive skin! An unique and interesting combination of active ingredients; Zinc Pyrithione and Ciclopirox Olamine, make this a shampoo worthy of anyone's attention. The addition of a formaldehyde releaser, MI, fragrance and SLES dampened my enthusiasm somewhat. Would I recommend it? With reservations. Removing one or two of the harsher ingredients and those reservations would be gone. Clynol is worth a look if Head and Shoulders has worked for you. However, if Head and Shoulders didn't work for you, neither will this. We’re adding new reviews all the time, so if you don’t see your favorite shampoo listed here, check out all our Zinc Pyrithione reviews. Reeder, N. L., Xu, J., Youngquist, R. S., Schwartz, J. R., Rust, R. C., & Saunders, C. W. (2011). The antifungal mechanism of action of zinc pyrithione. British Journal of Dermatology, 165(s2), 9-12. Roques, C., Brousse, S., & Panizzutti, C. (2006). In vitro antifungal efficacy of ciclopirox olamine alone and associated with zinc pyrithione compared to ketoconazole against Malassezia globosa and Malassezia restricta reference strains. Mycopathologia, 162(6), 395-400. Pierard-Franchimont, C., Goffin, V., Decroix, J., & Piérard, G. E. (2002). A multicenter randomized trial of ketoconazole 2% and zinc pyrithione 1% shampoos in severe dandruff and seborrheic dermatitis. Skin Pharmacology and Physiology, 15(6), 434-441. Shin, H., Kwon, O. S., Won, C. H., Kim, B. J., Lee, Y. W., Choe, Y. B., … & Eun, H. C. (2009). Clinical efficacies of topical agents for the treatment of seborrheic dermatitis of the scalp: a comparative study. The Journal of Dermatology, 36(3), 131-137. Sadeghian, G., Ziaei, H., & Nilforoushzadeh, M. A. (2011). Treatment of localized psoriasis with a topical formulation of zinc pyrithione. Acta Dermatoven APA, 20(4). Yuval Bibi Nitzan & Aanon D. Cohen (2006). Zinc in skin pathology and care. Ronald R. Warner, PhDa, James R. Schwartz, PhDb, Ying Boissy, BSa, Thomas L. Dawson Jr, PhDc (2001). Dandruff has an altered stratum corneum ultrastructure that is improved with zinc pyrithione shampoo. Hi, what about Zinc PCA? what is the difference between zinc PCA and Zinc pyrithione? and do they have the same properties? I use Head & Shoulders Itchy Scalp as I have scalp psoriasis and because it has that special ingredient in it called zinc pyrithione which eases the itching and it something that I personally would recommend. Interesting! Thanks for that Lisa. I haven’t been too fond of Head and Shoulders in the past but I’ll check out that itchy scalp formula. did you review head & shoulders? You should review DermaHarmony shampoo bars or their natural Castle Liquid Pyrithione Zinc Soap. They’ve got 2% Pyrithione Zinc.